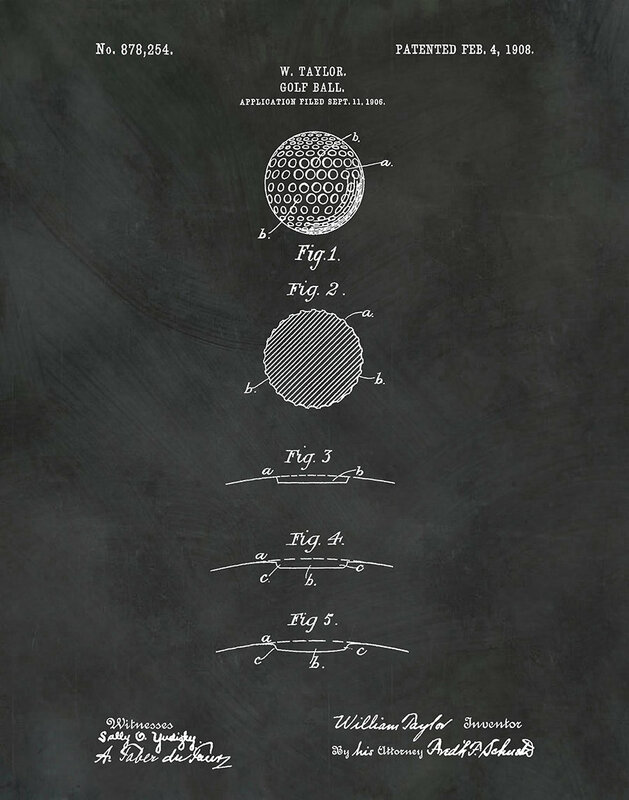 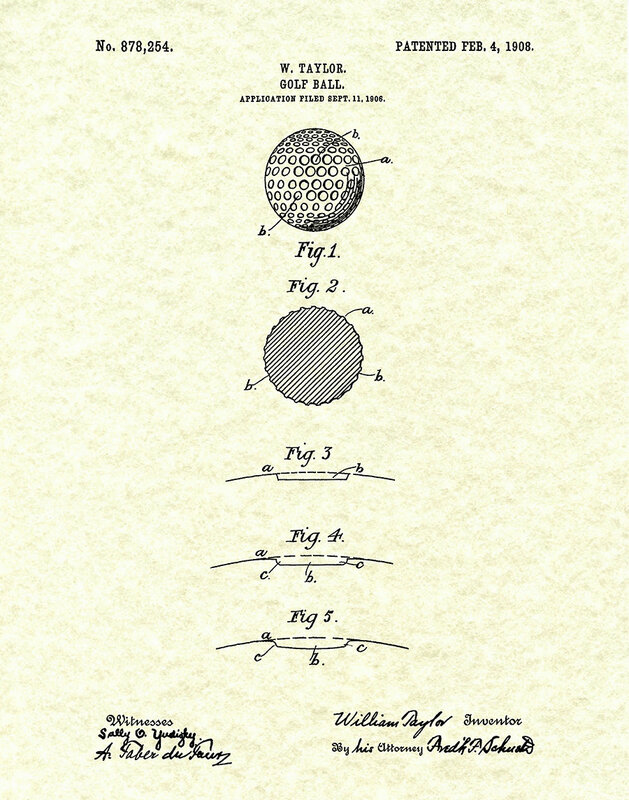 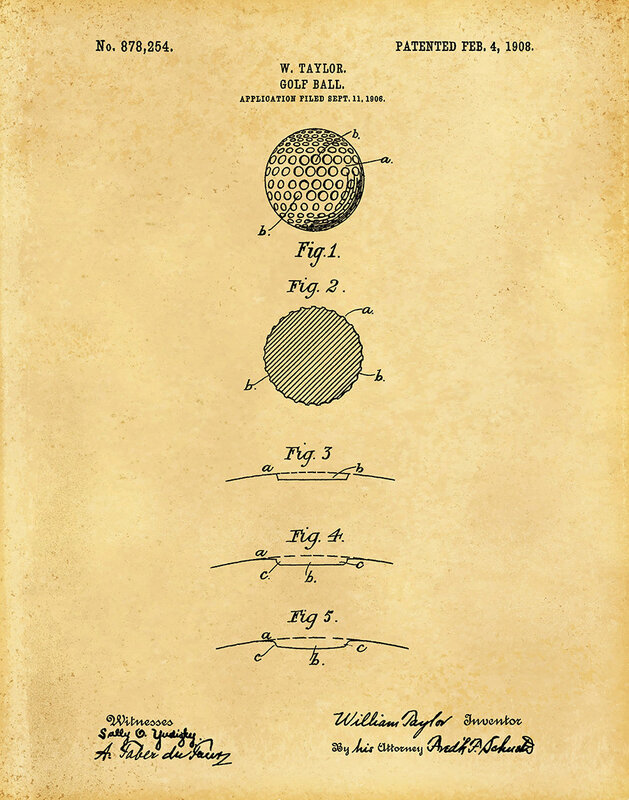 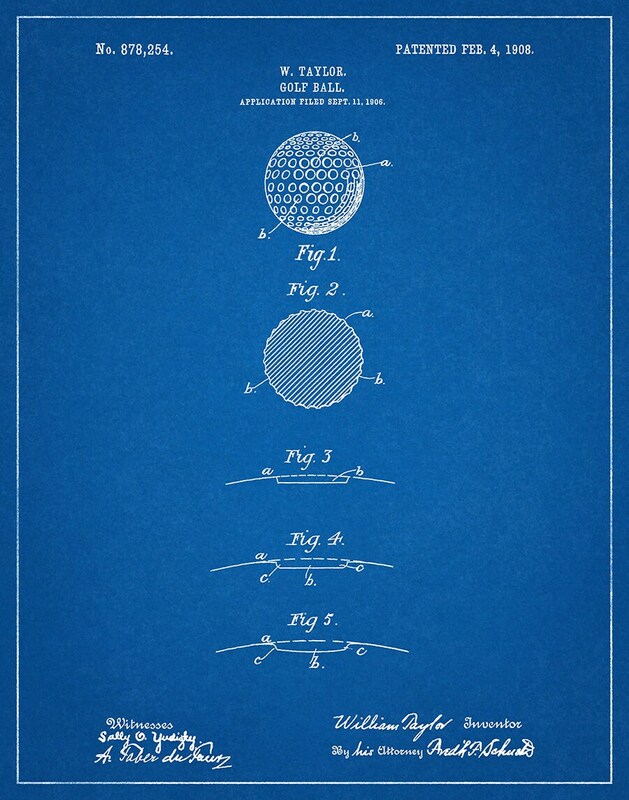 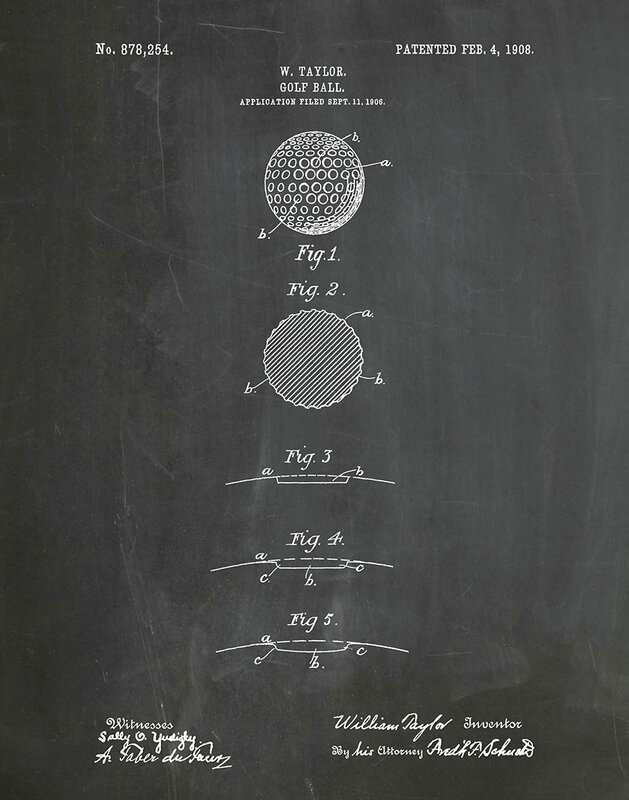 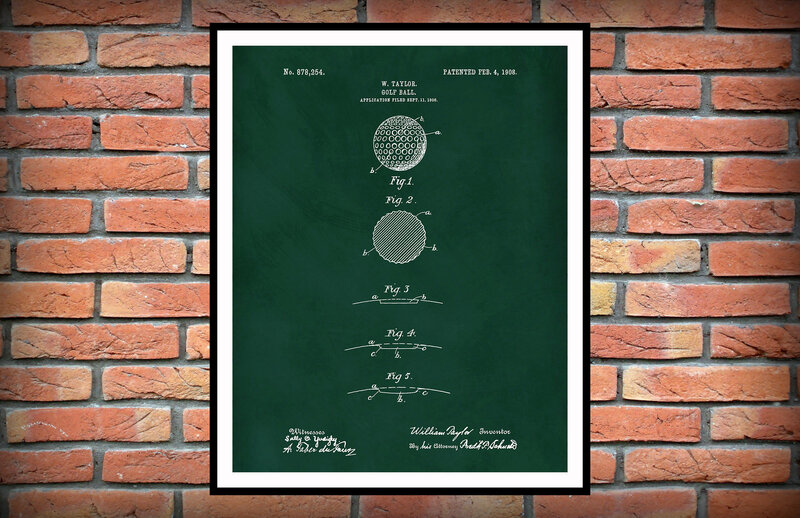 1908 Golf Ball Patent invented by William Taylor. 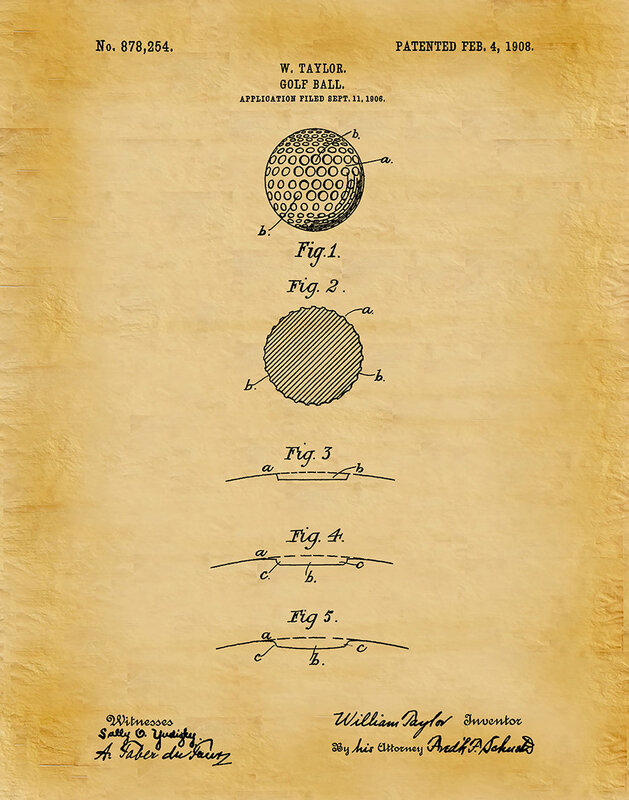 The United States Patent and Trademark office issued the patent on February 4, 1908. 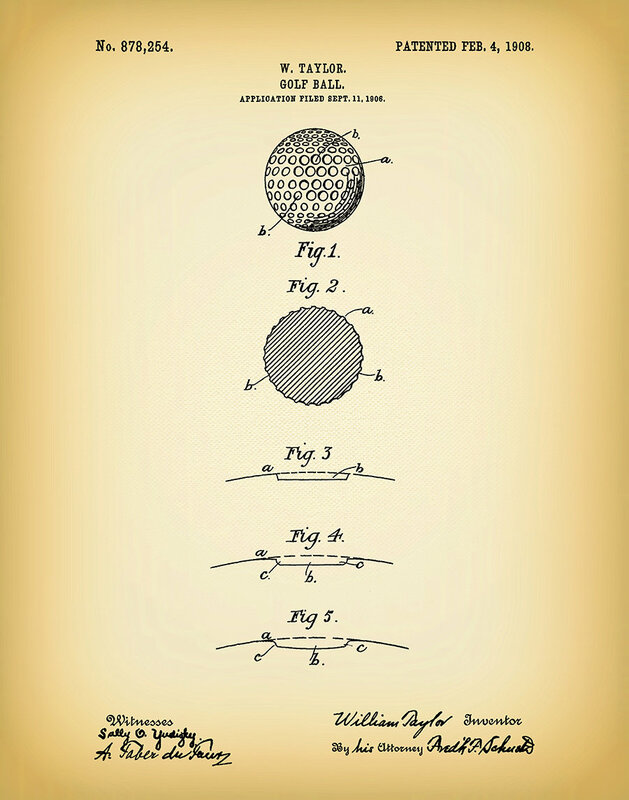 William Taylor’s revolutionary design has stood the test of time from its introduction over one hundred years ago. 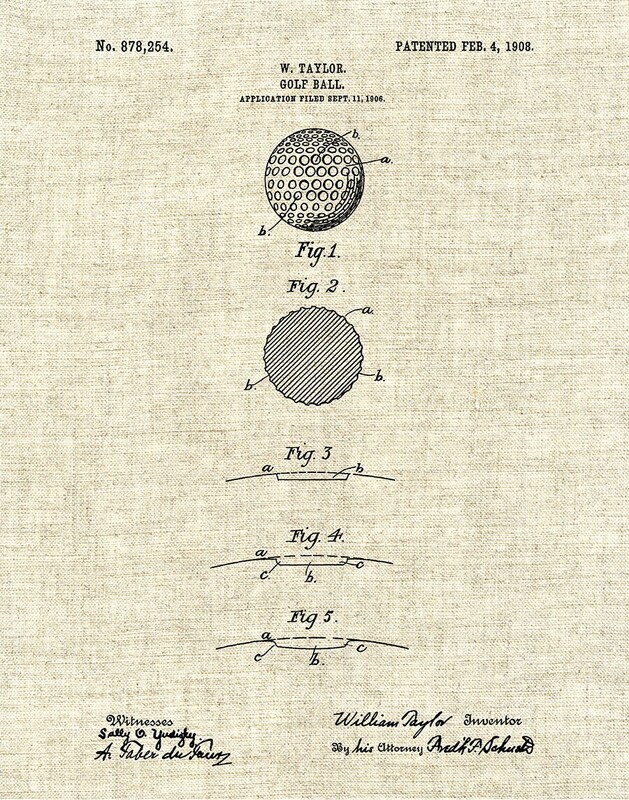 The fact that every golf ball used today still incorporates his original ‘dimple design’ is the clearest evidence that it is golf’s greatest innovation.